In the modern era, there has been a dramatic increase in the number of people playing video games – both online and on consoles. Along with sport and first person shooter games, one of the most popular types are car racing games. The Grand Theft Auto and Need for Speed franchises have helped to grab the attention of swathes of gamers and offer a new dimension into the stereotypical car racing game. 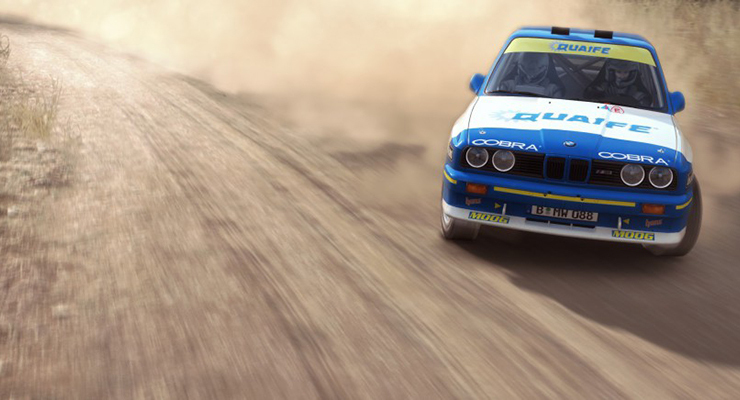 We take a look at just a few of the best driving games to be released in 2015. Project CARS is a motorsport racing simulator video game and was released for Windows, PlayStation 4 and Xbox One back in May. In theory, the game was designed to represent a realistic driving simulation experience. In order to ensure that the game differed in various aspects from market leaders such as Gran Turismo and Forza Motorsport, they offered a number of different motorsport options and allowed immediate access to all included tracks and vehicles. If you are an avid motor racing fan, this is definitely the game for you. Released exclusively on Windows, Dirt Rally is a video game that – surprise surprise – focuses solely on rally car racing. Players compete in timed stage events in various conditions to try and become the world champion. With various game modes available, gamers can compete against the CPU or pit their wits against drivers in player-by-player multiplayer formats. The latest version in the Need for Speed series has been one of the most successful driving games this year. Released across the world in September, No Limits is the twenty-first installment in the series and is the franchise’s first title made exclusively for mobile phone devices on iOS and Android platforms. In the main career mode, you will need to race in ‘Underground’ races as well as ‘Car Series races’. However, they have also incorporated additional features into the game, such as time-limited special events that will appeal to those fans who enjoy the occasional extra in their gameplay. In this game mode, you are able to win special cars if you complete the task in the allotted amount of time. The Forza series has been running for years but the latest edition may be the greatest game yet in this fantastic franchise. Forza Motorsport 6 is a simply sensational video game and boasts various new gameplay features, including weather driving and the brand-new ‘Stories of Motorsport’ mode – which offers approximately 70 hours of additional gameplay. In terms of sales, Forza Motorsport 6 has dominated the field in 2015. The game also offers more than 450 cars – more than double the number available on the previous edition. It’s certainly much more hectic than Forza Motorsport 5 and there can be up to 24 cars on track at any particular time. If you love racing games, Forza 6 is an absolute must-buy. The thrills and spills of these games allows us to live out our driving fantasies and can inspire a generation to want to learn the theory and practical knowledge they need to be able to love the real world of driving.